Updated Jul 07, 2018 | 11:58, cricket bros.
MS Dhoni is celebrating his 37th birthday on Saturday and the former Indian skipper cut a cake in England to celebrate the occasion. He was accompanied by his wife, Sakshi, and daughter, Ziva, and other members of Indian cricket team. See pictures and watch the video here! MS Dhoni is celebrating his 37th birthday on Saturday. Former Indian captain MS Dhoni, who turned 37 on Saturday, celebrated the occasion with his wife, daughter and other members of team India who are a part of the squad for the limited-overs series against England. In a video on Twitter, Dhoni can be seen celebrating his birthday by cutting a cake. His daughter Ziva is sitting next to him. The other members of the team are singing the birthday song for Dhoni. Players like Virat Kohli, Hardik Pandya, Suresh Raina are also in attendance to celebrate the birthday of the star player. The celebrations were held after the conclusion of the second T20I against England on Friday. Here are few visuals from the former skipper’s birthday celebration. On the eve of his birthday, the 37-year-old created a historic record as he became just the third Indian cricketer after Sachin Tendulkar and Rahul Dravid to play 500 international games. Dhoni made his international debut in 2004 and within 14 years, he achieved this milestone. However, the Indian team could not celebrate the feat as the visitors lost the second T20I of the series to England. Riding on the efforts from the trio of Virat Kohli (47), Suresh Raina (27) and MS Dhoni (32*), India posted a total of 148/5 on the board. The score was on the lower side but the bowlers were able to take the game to the last over. It was on the fourth delivery of the final over of the game that England could chase down the total to level the series 1-1. The decider of the T20I series will be played on July 8 at County Ground in Bristol. The winner of that game will win the opening leg of India’s tour of England 2018. Sourav Ganguly, one of India’s finest batsmen and captains, turned 46 on Sunday. Nicknamed ‘Prince of Kolkata’, Ganguly is now president of Cricket Association of Bengal. Sourav Ganguly turned 46 on Sunday, just a day after another former India captain MS Dhoni turned 37. Two days and birthdays of two of the best captains that India has ever produced. ‘Dada’ as he is nicknamed was also one of the finest batsmen of his time with drives through the offside being his trademark shot. Rahul Dravid once said, “On the offside, first there is God, then Sourav Ganguly!” which would be an accurate description of Ganguly’s exploits. His achievements as a skipper may have overshadowed his credentials as a batsman but the left-hander was a fantastic add at the top of the order forming a world-class partnership with Sachin Tendulkar. His trademark shots could be narrowed down to slicing seamers through the off-side or coming down the track to spinners and hammering the ball well beyond the boundary ropes. Virender Sehwag, a teammate during his playing days, wished Ganguly in a style that is fitting for both Sehwag’s Twitter persona and Ganguly’s heroics as a batsman. ‘The Prince of Kolkata’ announced his Test arrival in style by scoring a century on debut at Lord’s no less. He would go on to become the third highest run scorer overall for India with 18,575 runs. He holds the record for scoring India’s highest individual score, of 183 runs, at a World Cup. As a captain, Ganguly holds the record of being India’s most successful skipper overseas. He also led India to the final of the 2003 World Cup and most memorably, for hoisting his shirt after beating England in a thriller to win the Nat West Trophy. “On the offside, first there is God, then Sourav Ganguly!”, said Rahul Dravid once. Ganguly’s captaincy may have overshadowed his credentials as a batsman, but he was really a magician with the bat. Whether he was cutting pacers through the off-side or dancing down the track to leg-spinners, Ganguly was a treat to watch. The Prince of Kolkata announced his Test arrival in style at the Mecca of cricket as he scored a century at Lord’s in his debut. Ganguly would go on to become the third highest run-scorer for India with 18,575 international runs. He is the 12th highest run-scorer of all time in international cricket history. He is the only ODI player to have won four consecutive Man-of-the-Match awards. Notably, his average never dipped below 40 in Test cricket. Ganguly’s rise came at the lowest time for Indian cricket. The match fixing scandal had just come to the fore. Ganguly took the reins of the Indian team and restored the faith and love for the game as well as the players. Years later, Ganguly himself was at the lowest point in his career in 2005 after the fall-out with the then coach Greg Chappell. He was axed from the side. But Ganguly bounced back again and made a comeback to the Indian team. In 2007, he made 1,000+ runs in ODIs and Tests respectively and was the leading run-scorer (2,346) overall in the calendar year. He was the ‘Asian Cricketer’ and the ‘Asian Batsman of the Year’ next year. He finally hung up his boots on his own terms in 2008/09. 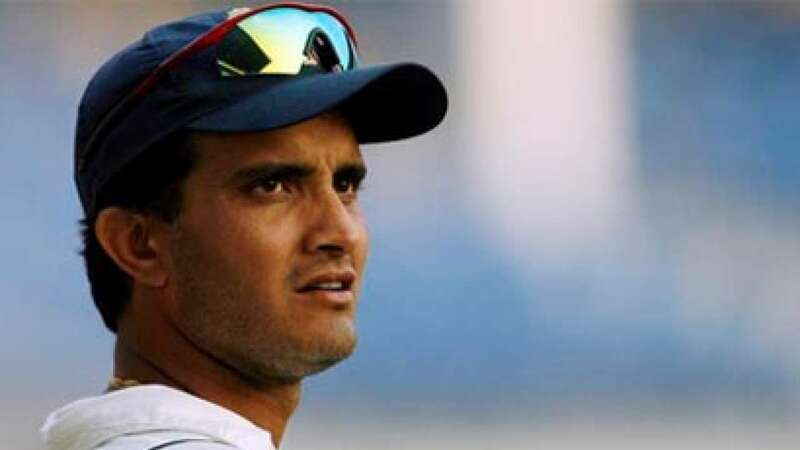 Ganguly is also responsible for giving Indian cricket a plethora of future stars like – Virender Sehwag, Yuvraj Singh, Harbhajan Singh, Zaheer Khan and MS Dhoni who went on to make it big at the international arena. He had the knack of unearthing rare diamonds and once he saw something special in a player, he would back him to the hilt and didn’t even hesitate to fight out the selectors for his players. Most of his players justified his faith in them as well. Ganguly is one of the best captains India have ever had. His Test record as captain on foreign soil is still the best for any Indian. He led India to the final of 2003 World Cup and won the Nat West trophy. But more importantly, Sourav Ganguly changed the way India played cricket. He challenged and changed the notion of Indians as ‘Lions at home and Lambs abroad’. The Indian team under Sourav Ganguly was ready to take on anybody anywhere. Ganguly instilled a sense of belief in the side. Ganguly was always ready to fight fire with fire. He was a master at unsettling opponents. He famously made the Australian captain Steve Waugh wait for him at toss during 2001 series.